Click here to contact me for prices for Homeschool Music Online Lessons or Fast Track Grade 5 Theory Lessons Live Online. Lessons for Grade 8 or Diploma level or for lessons with head teacher, Tracy Rose, are £22 for 30 minutes, £33 for 45 minutes or £40 for 60 minutes. When you join us as a student, you can take part in many of our workshops and events, free of charge! 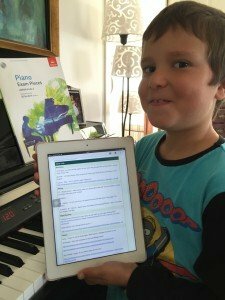 A free music theory event for two Music Lessons Anywhere piano students. After every lesson I email notes about the lesson so you can revise what we covered, easily see what you need to work on and track your progress. Jennie’s review in full can be read here. All lessons can also be taken as Correspondence Lessons. This is a flexible learning programme, where part of the tuition is by email. 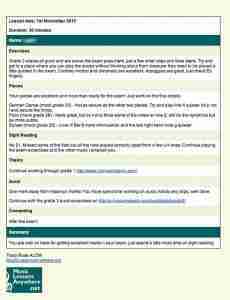 A brochure about the Correspondence Lessons can be viewed here. 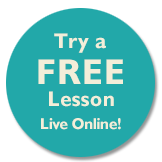 When you contact me to try a free lesson, I will get back to you by email to arrange a time for a video call over Skype or Zoom for a chat and a free trial lesson. We can talk about what you want and how you would like to learn, as all lessons are geared for your particular needs. We accept payments from all major credit/debit cards. Payment is made online through our secure third party card processing company, Stripe. “We have used music teachers locally and I would certainly say that after my initial reservations of doing it online, have found these lessons to be far superior in every way. 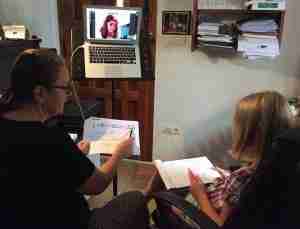 We really have had no problem doing it over Skype.